Russell locking in, infront of the lens for a change! Russell Ord pulling in during a trip on Indies Trader 4. Russell Ord is so much more that the first surf photographer to swim The Right, with the aim of capturing a completely original, seemingly impossible shot, or the hellman behind the panic-inducing images of mutant slabs that graced the covers of many a surf mag. In person, however, you find an introspective, family man with laser sharp focus and an infectious grin - a far cry from his high octane waterman’s persona. 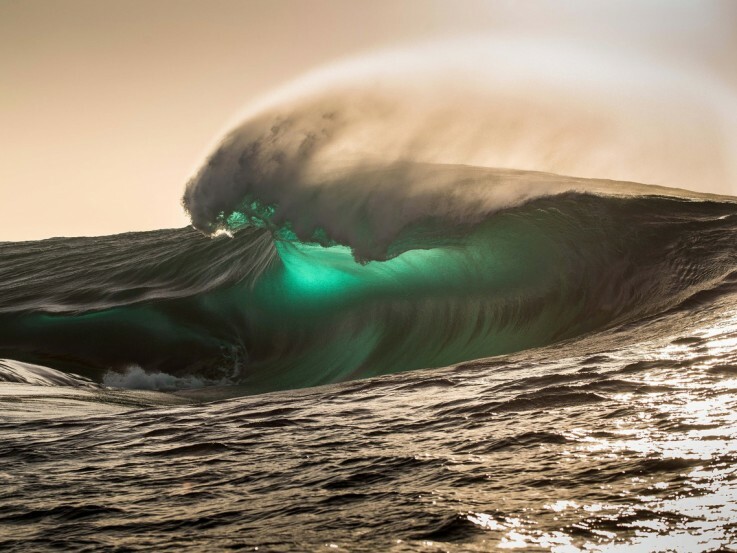 His own self-reflection and lack of desire to join the masses in capturing the same old image led him on his quest to swim and capture some of the world’s most impressive waves of consequence, and the surfers who dare to surf them. Genuine, intrepid, driven, are all words that describe this humble human from Western Australia who seems unable to make his way through life without constantly pushing boundaries. Meet the man behind the name we know as, “Ordy” and get an insight into his plans to recalibrate his focus to “projects with purpose”. Where do you call home now? And how did you end up there? 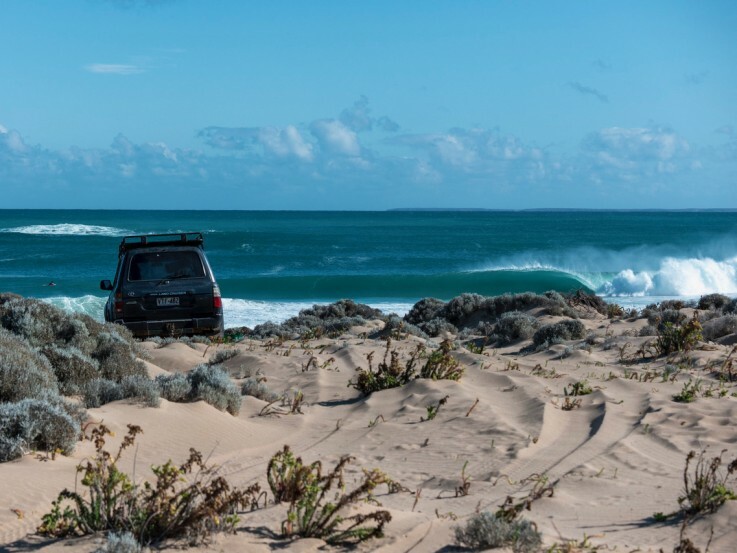 I moved the three hours south to Margaret River WA nineteen years ago for the surf and country lifestyle plus to get away from playing Rugby League, and it was time to hang up the boots. 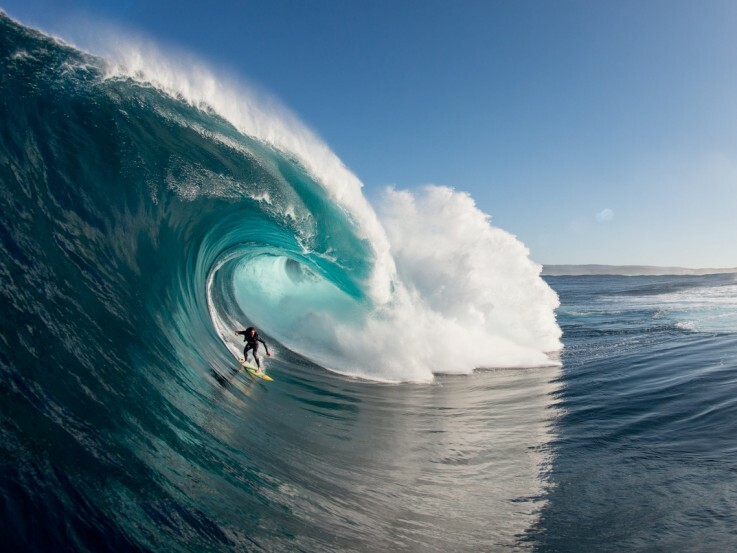 As one of the most recognised surf photographers in the world, with a name synonymous with The Right, who do you look up to in the surf photography world? I love the incredible skills and longevity of Grambeau, Joli, Witzig, Brewer, Servais, Brian Bielmann, Flindt to name a few. 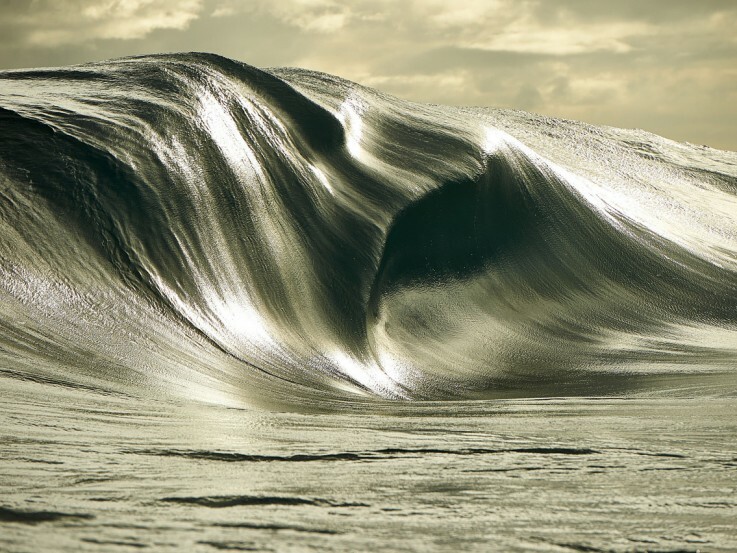 From there, it's the photographers that are pushing boundaries with shots that I know are extremely difficult to take: Noyle, Brent Bielmann, Hornby, Bellet, d'Orey, Stacey, Mosqueira plus many more. However, the photogs that have pushed me to try harder would be Jon Frank, Mickey Smith and Scott Aichner. 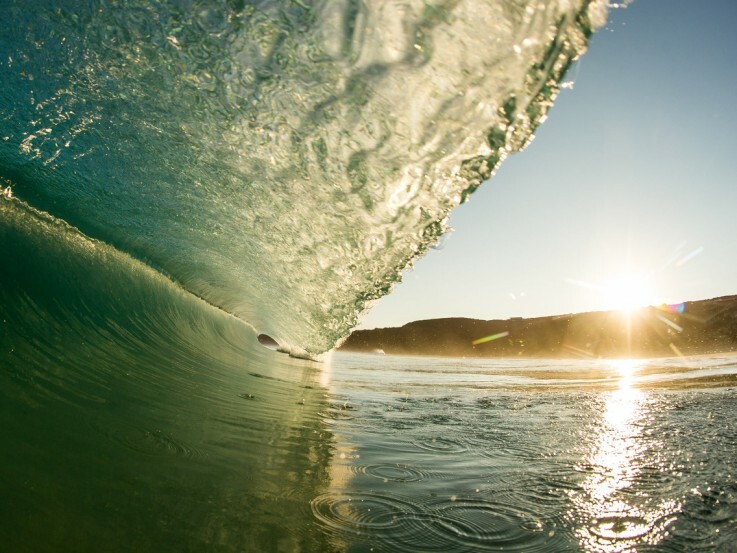 Water photography is a skill that appears to come to you so effortlessly! 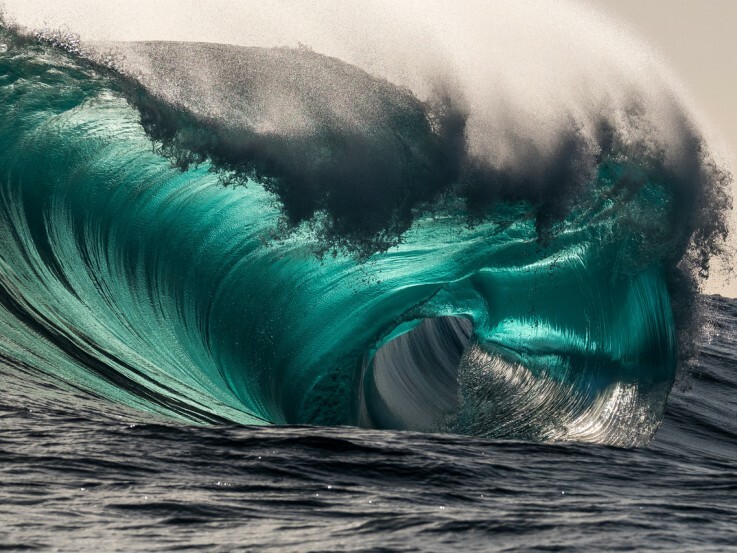 Tell us about the challenges of shooting epic waves, particularly those heavy mutating ones, from the water. Have you had any scary moments? It’s been a slow build up over an extended period, slowly pushing my boundaries as I become more comfortable with the situations. I surf myself also and love taking that same mentality to the water. I see a few photographers that are far too impatient to become a so-called somebody and make a name for themselves, "Preparation prevents piss poor performance", pretty basic statement but very true. 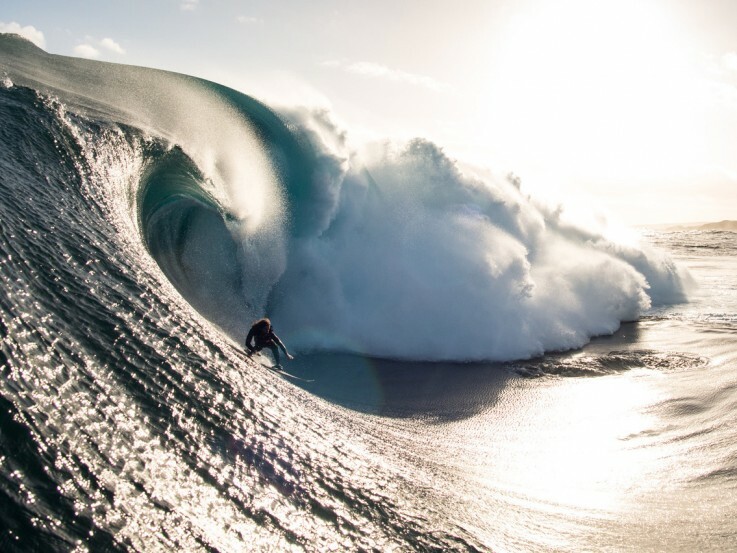 I have had a few moments that got the heart rate going more than normal however over the years I can see and feel the signs of when to push and when to back off, in the end, the ocean is always going to win. The best thing is meeting incredible people; I truly get inspired by peoples backstories and having as many new experiences as I possibly can in my lifetime. The most challenging is the business side of my work including social media, having to evolve quickly in that aspect to keep up with the Joneses and keeping food on the table for the family. 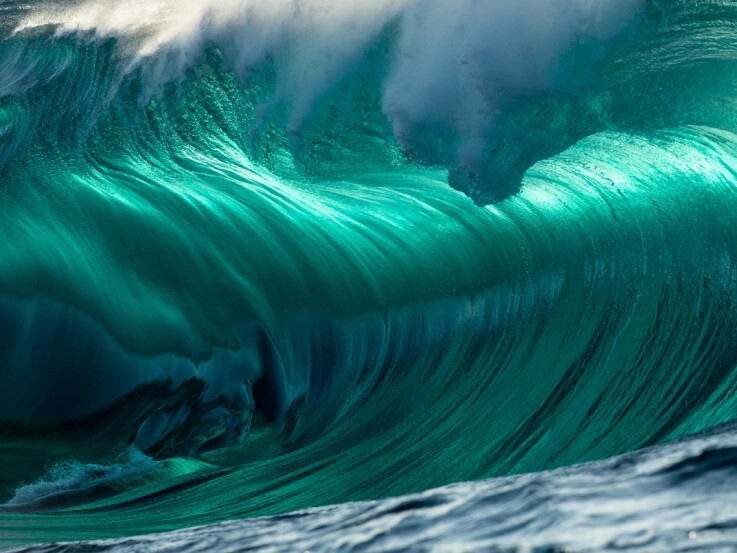 You have travelled and photographed some pretty incredible places and waves. Tell us about a few of your favourites? My best trips always seem to be when you score waves with no crowds, plenty of serenity, you don't feel you need to get out images quick (the look at me - Insta), and it's an all-around fantastic experience. This recently happened in Fiji (spot X), waves down the coast from home and yes spot X again, I wish sometimes I was in the Witzig era, every track you walked down there could be a pot of gold. 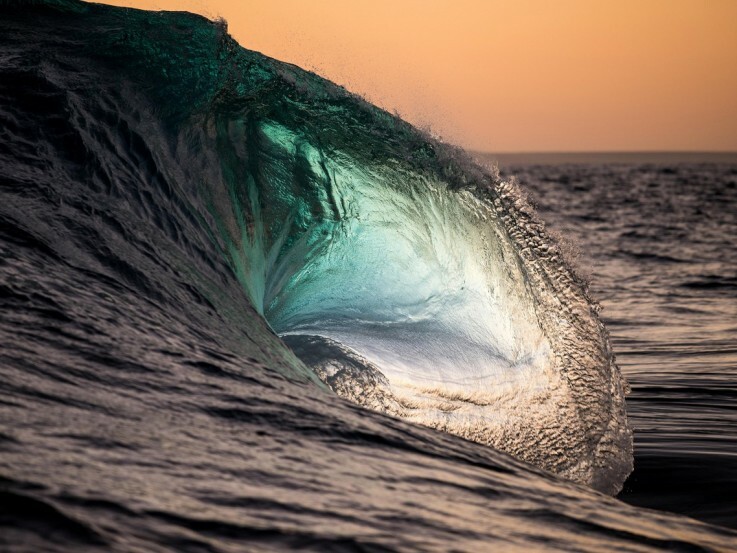 In the same way we all remember a magic wave or session, is there an image that you’ve captured that sticks out in your memory, that you think … “That’s the best photo I’ve ever taken”? Every second person has a camera these days, and with smartphone technology developing at a crazy rate, how do you build a reputation that allows you to continue to earn what you should for the outstanding quality of your images, gained from years of experience? Personal relationships built over time, I won't and can't compete with the social media world and fake perceptions, hopefully, I keep my clients happy, and from there everything grows organically. The last year or so I have putting a lot of efforts in Vagabond Photographic a photographic shop built around travel & adventure for those who are passionate about photography, videography & the environment. "The art of giving". On to drones … their popularity for the aspiring photographer is on a sharp rise. What are your thoughts about this as photography skill, and do you see the popularity of that bird’s eye view waning any time soon? I think they are great for a "full package of images" you can supply a client but really "skill level" - something you can learn in 15 minutes is not skillful in my eyes, ten thousand hours of applied practise is a skill. I will put a drone image up on social and you get those messages "That's the best shot I have seen" ???? WOW - I think they could be right, I may have spilled my coffee on my hand while flying one handed. (little harsh?). 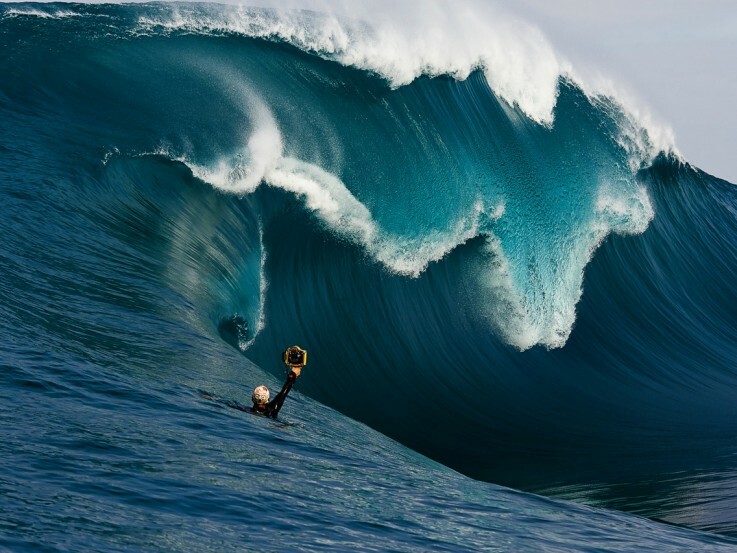 From fireman to World renowned surf photographer, explorer and swimmer of the oceans most dangerous slabs … what’s next on your career agenda? I certainly feel I am on the verge of a career change, my only photography goals at the moment are to do "projects with purpose"; Environmental, Humanitarian, Educational, The art of giving, such as Projects with Purpose. Tell us about your new business venture Vagabond Photographic? An online photographic shop that is about the art of giving, collaborations, and providing access to world-class photographers all in one place. Inspiring, educating, creating experiences. More than the usual photographic store with shiny new toys whose number one goal and the bottom line is “sales, sales, sales”. Most photographers are pretty protective of their tricks of the trade. What made you decide to share your knowledge and help others on their creative journeys? 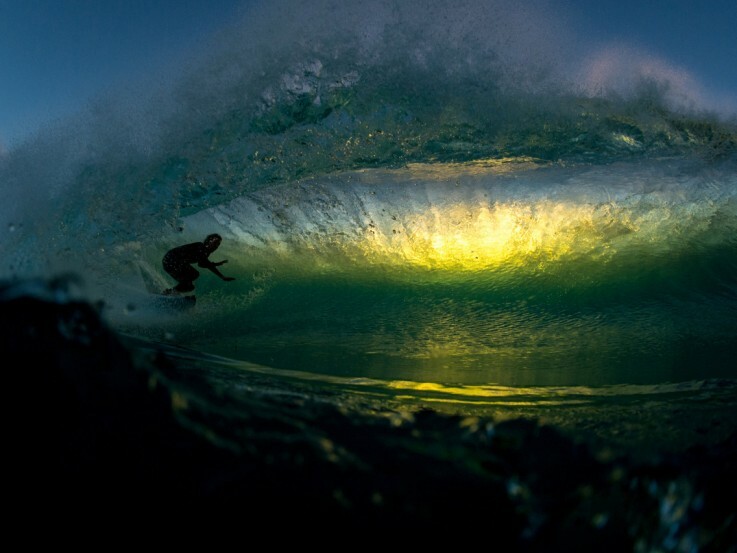 Business wise, I see a lot of renowned photographers complaining that an up and comer has undercut them but on the other hand, they are not willing to share their photographic rates, in the surf industry it’s very hard to know what "the standard is". I was given a lot of advice and still receive advice from the Regnards, and I feel I am repaying their fantastic generosity over the years by educating anyone that asks. Skills wise it's the best feeling being able to provide someone with a few tips that can take their photography to another level (gratifying) I am not worried about future competition because the small percentage that are going to make it will do it without my help anyway. What advice would you give photographers looking to take their creative field to the next level, towards a professional career? Be patient, learn your craft and don't get caught up in the perception of the photography world. 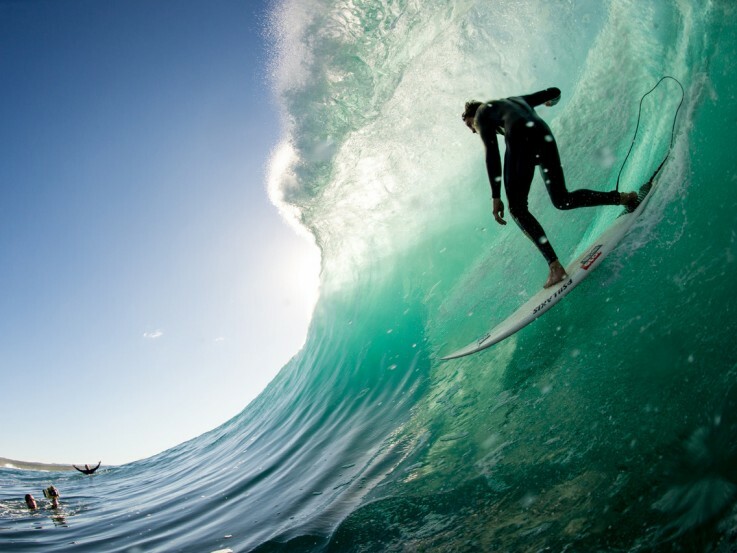 If you could only give one single tip, about anything to do with surf photography, what would it be? Learn the "Ocean", spend lots of time being submerged in salt water. For those of us out there pouring over catalogues of new photography gear, what is your go-to camera quiver? I have been using Fuji Film mirrorless cameras for the last three years they have indeed brought that "feeling" of photography back into my work. I remind myself that all the best photos in history were probably taken with a worse camera than mine to stop me thinking that I need this and I need that. A lot of photographers’ dwell far too much on equipment and not focusing on the art of photography and their client's needs. Lifestyle images - Fuji X100F / Surf images Fuji X-T2 with Aquatech housing. Apart from my beautiful wife Catherine and my kids, Malala Yousafzai and every other person that has come through diversity to live an extraordinary life in their chosen fields, I would just listen. Wim Hof - the Iceman or Stig Severinsen (breathing coach) especially if their skills stayed with me. Does saying Vodka make me an alcoholic? Mavericks (Half Moon Bay) a life-changing experience and it opened my eyes to actually what I was trying to achieve and what’s more important in life. My wife Catherine, amazing person and for her to put up with me for the last 20 years speaks volumes. 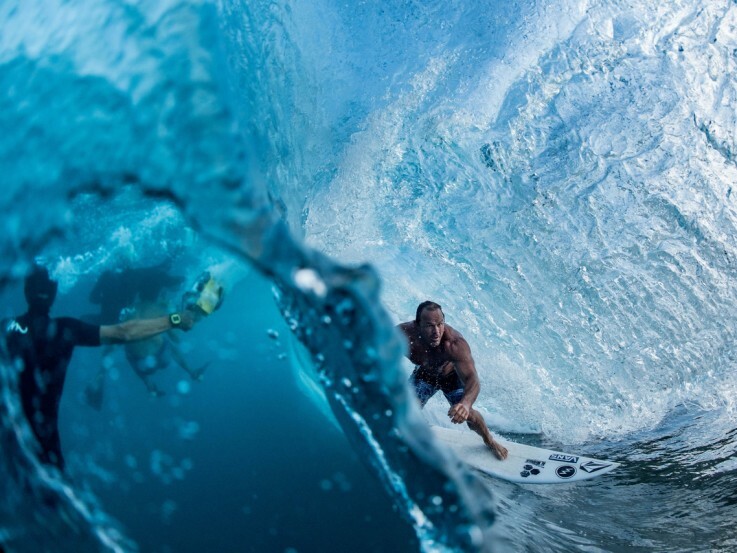 When and how did your passion for surf photography start? It’s that part of my life that gives me a sense of freedom, I feel everyone needs that "happy spot" in their life and the ocean is that place for me, the place you tend to think clearer. 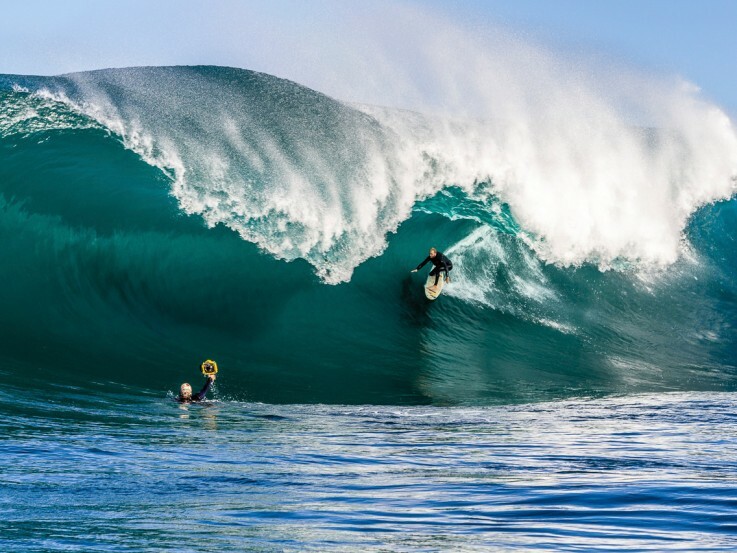 I enjoy all my surfs at my local with the lads - Margaret River Main Break. Big Gnaraloo with my son and maybe 5 others. In the early days hunting for "slabs", being 15km out to sea off the bottom of Western Australia. The rain was horrendous we could not see 10 meters either way, we had no idea where we were and just followed the swell until we hit land. 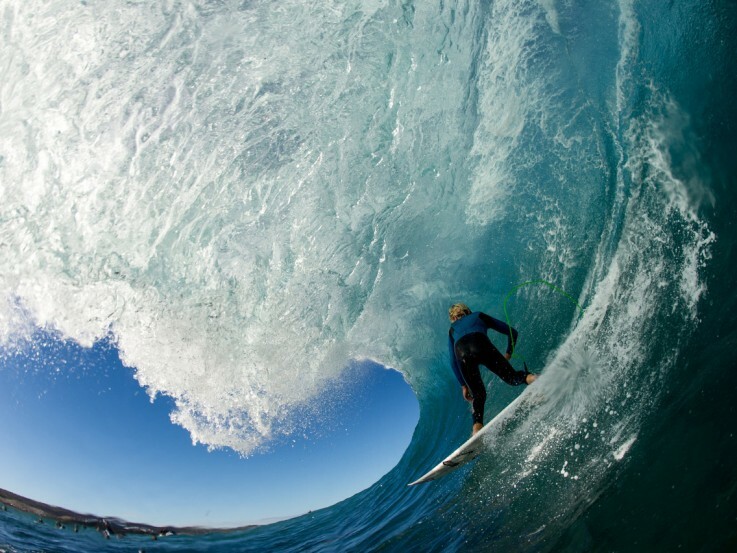 9'2 Mat Manners, you know you're up for it when surfing that thing. …I could travel back in time. …to have no regrets in life.